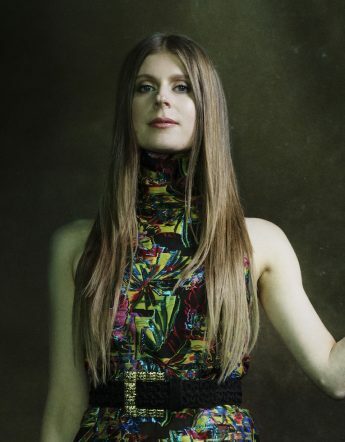 Lydia Ainsworth is the Canadian songstress with more talent than you can shake a stick at. We chat cello playing, film compositions and the bustle of Bushwick. You are a self-taught cello player; how did that come about? I was really lucky as a kid because music programs at public schools in Toronto at the time were funded well by the Canadian government. I was sent home with a cello when I was ten and participated in a string ensemble at school. I didn’t have a private lesson until many years later so the technique I developed was really backwards and took years to correct. My bow hold is still really intense, it hurts me to play! What were you like at school; were you involved in any musical related activities? I was friends with everyone but at the same time I was a big loner and recluse. I would spend most of my time alone in the practice rooms in high school playing piano or cello. What music were you listening to growing up? What were your parents into? Did they encourage your creativity? Yes, they gave me a lot of space to experiment! What was it that drew you to study film scoring in New York? I went to McGill University in Montreal to study composition. I took a lot of music theory classes learning all the rules of music, as if memorizing math equations. I loved taking those classes but I was really yearning for opportunities to have my music played live. I began scoring a bunch of student films as a result and fell in love with the process. I ended up getting a scholarship to study film scoring at NYU which is what led me to New York. How have all these different aspects of music influenced your current sound? I don’t think school can teach you how to write music but it can teach you some techniques to help facilitate visions as an artist you may want to create. It gave me a toolkit to draw from when I need and ignore when I don’t. The greatest influence on my sound has probably come from a few key cathartic moments in my life where I felt a very strong unlocking of frozen areas within. These experiences led me to want to recreate that same feeling in my own music. How did you get involved with Arbutus records? I sent my finished record to my friend David from the band Solar Year and he then sent it around to his friends. It ended up being played at the Arbutus headquarters and fortuitously they really dug it! The process of creating my album was long and winding, each song had a different evolutionary path. The first few songs I wrote were for a party I was asked by a friend to perform at. At the time I had no idea that they would turn into the seeds for the album. These songs were White Shadows and Candle. For the performance I brought together a mini orchestra. I became really driven after this show, wanting to recreate that same energy and dynamic between acoustic and electronic elements. I programmed and tracked things from my Bushwick bedroom but I finally gave in to the very loud traffic along Graham Avenue and recorded vocals for the final few songs in a proper studio in Toronto with a nice vintage Neuman mic through a 1973 Neve. When you first started writing music, did you ever have a particular audience in mind? My aim is always to try to tap into a universal truth. To offer something that anyone from any walk of life can respond to on some level whether that is an instrumental piece or a pop song. You are already garnering comparisons to Kate Bush! I’m a big fan and it’s always an honour for me to be compared. Your sound has also been described as other worldly – have you ever had any other- worldly experiences? In the middle of writing the album I had an out of body experience while undergoing a surgery. The experience really inspired some of my vocal production on the album. I really hope to tour and write some new tunes!